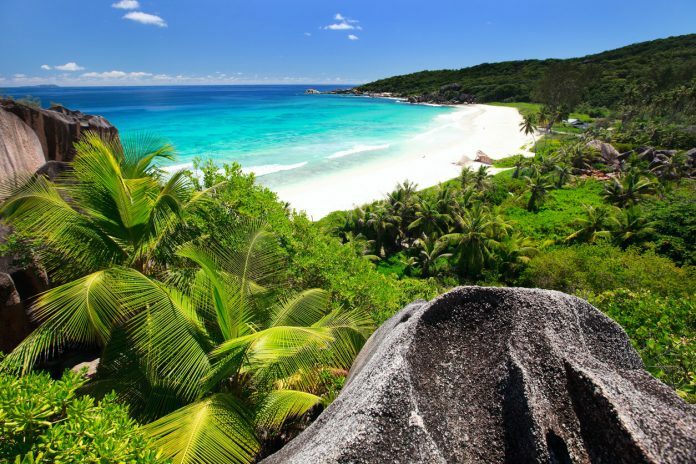 Seychelles is one of the most gorgeous island nations in the world which is why it is quite popular too. However, due to the high prices, most people avoid travelling to this island solo. 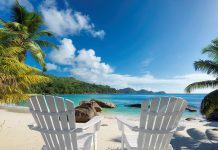 Yes, Seychelles is famous as a popular honeymoon destination but that doesn’t mean that you cannot travel alone to this stunning nation. Wish to explore this island alone or on a budget? Then, this solo traveller’s budget guide to Seychelles can help you do just that. As Seychelles is an island nation, there is only one possible way to reach this country, i.e., via flights. You will find several major airlines working this route including Emirates, British Airways, Air Mauritius, and so on. There is only one International airport in Seychelles, Seychelles International Airport, on Mahe Island for entering this country. Here, you would have to pass the emigration process in order to enter this country and stay here for some time. 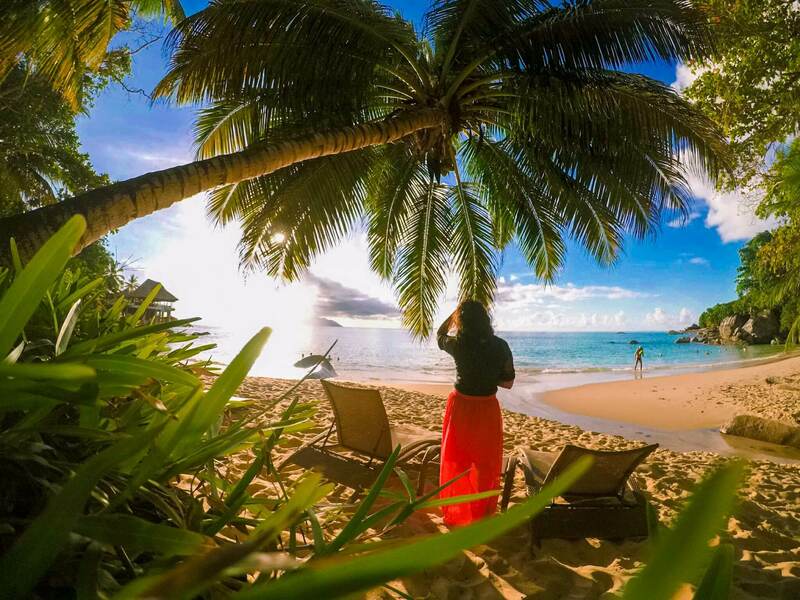 Did you know that Seychelles is a visa-free country? Yes, you heard me right! Once you complete the formalities, you are free to enjoy your vacation here for the duration of 30 days. You can further get your permit extended to stay for the duration of 3 months. Mahe and Praslin Island have an amazing public bus transportation system which charges 7 Seychellois Rupees for a journey. This means that you pay just 7 SCR for either the next stop or the last stop of your bus route which is quite cheap and convenient. The bus network is great on both these islands and allows you to cover the entire island in an affordable manner. So, there is no need to hire a cab or a rental for your trip to these beautiful islands. However, the last bus that leaves from the Victoria Bus terminal (Mahe Island) is at 7.30 p.m. while the last bus plying through the streets of Praslin Island is at 6.30 p.m. So, you will need to plan your day carefully in order to not miss the last bus. On most other islands, you won’t need a cab or a taxi because they are small in size and easily accessible on foot. In fact, La Digue is quite popular as a cycling destination and one can easily cover the entire island in a day on a cycle. The cost of renting a cycle for 24 hours varies between 100 and 150 SCR so, ask a lot before hiring a cycle. Finding a decent yet budget-friendly accommodation is the biggest task when travelling to Seychelles. Since this place is popular as a honeymoon destination, there are more resorts and hotels here than hostels or homestays. Thankfully, there are other ways to reduce your living cost here which can be perfect for solo travellers. One of the best ways to save some extra bucks in Seychelles is by booking a self-catering apartment for your stay as this is cheaper and can take care of your food as well. 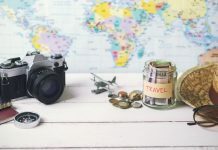 If you are travelling alone, this would certainly be cheaper than renting a room in a hotel or a resort, priced around 25 – 30 Euros for a night. The main benefit of renting a self-catering apartment is that you can cook your own food here and get water for free. So, your food and water cost gets reduced considerably which helps you in sticking to your budget. Another popular option for reducing the accommodation cost in Seychelles is to find Couchsurfing hosts for your stay. There aren’t many Couchsurfing hosts here but even a few days of free stay can work wonders for your Seychelles vacation budget. 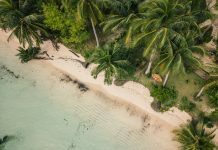 You will find hosts on Mahe Island and other resort islands which is a great way to meet locals and explore the untouched parts of this nation. And, you get a free local guide as a bonus too! If you are on a tight budget then it would be advisable to skip the restaurants here and enjoy the takeaway food which is quite popular. You would find takeaway vans on all the islands serving dishes like Sausages with chips, Burger with chips, Chicken with chips, etc. You can also try the famous Creole dish here which includes a curry, dhal, and rice and is quite similar to Indian food. It can be slightly spicy but will be extremely delicious so make sure that you try it at least once. You will get both vegetable and meat curry here so vegetarians have nothing to worry about really. If you are a non-vegetarian then do try their Octopus curry. It is to die for and will leave you salivating for more. There are around 115 islands in Seychelles but it is not possible to visit all these islands. Most of them are uninhabited or can only be reached by a cruise. 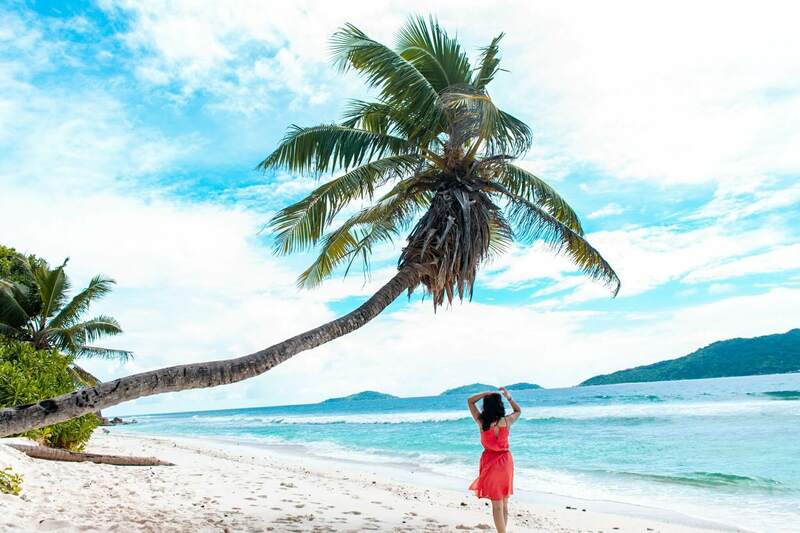 So, as a solo traveller, you can only explore the three popular islands of Seychelles: Mahe Island, Praslin Island, and La Digue Island. But, not to worry, because these three islands have several amazing places for you to explore that are bound to leave you speechless. A popular tourist point on Mahe Island, Beau Vallon is a perfect place to relax and enjoy the calm, blue waters in Seychelles. Here, you can chill and suntan on the beach or you can stroll on the walkway to shop or eat some delicacies. You will also find a few Scuba diving centres where you can enrol for a course or a sample dive to watch the beautiful coral reefs of Seychelles. Trust me, this is a place that you would not want to miss out if you want to have an exotic experience in this wonderful country. Do you love hiking? 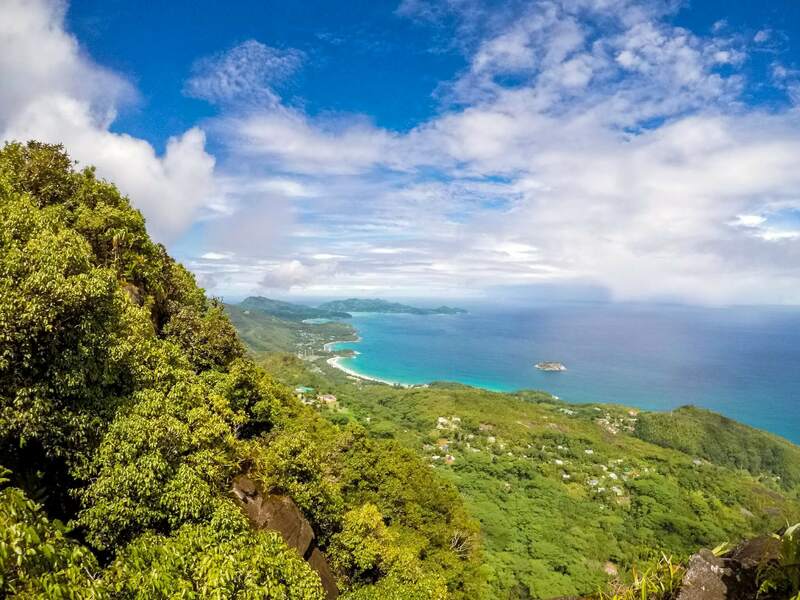 If yes, then you have to hike to the Morne Blanc Viewpoint which offers you the most amazing view of the coastline. The hike takes around 2-2.5 hours for the to and fro journey and you will have a proper trail to point you in the right direction so going solo here is not an issue too. The hike through the forest trail is itself quite exciting and can really make you feel like you are on a thrilling adventure. One of the popular spots on Mahe Island, both in the daytime and the night, is the La Misere Viewpoint. From here, you can see the entire Victoria city along with the beautiful Eden Islands. The view is especially beautiful at night as the whole island is lit up and you can relax and enjoy the view, without the morning commotion. Anse Georgette is the cleanest and most pristine beaches in Seychelles which is because it lies inside a private compound. You have to get a reservation from the Constance Lemuria Hotel in order to access this beach for an hour, but oh, what a wonderful hour it turns out to be. The surrounding rocks and vegetation in combination with the turquoise blue water and sandy white beach make it a popular beach to visit. I would actually advise you to head to the Fond Ferdinand instead. This is because this is considerably larger than the Vallee De Mai and costs 1/3rd of what you will pay to enter the famous UNESCO Heritage site. 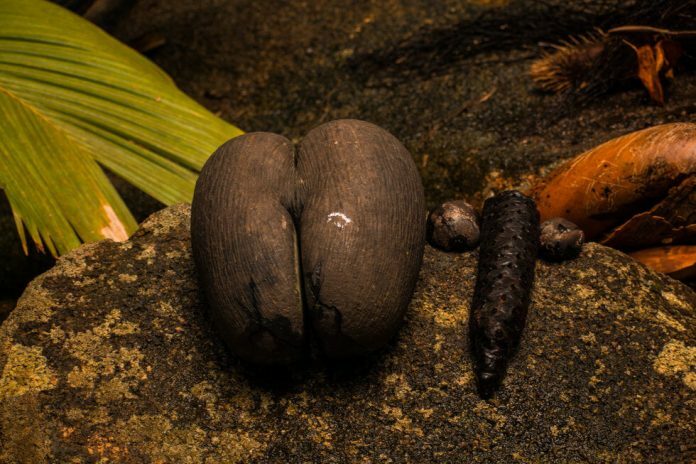 Here, you will learn about the Coco De Mer plantation process and will see different types of birds and insects on the way. 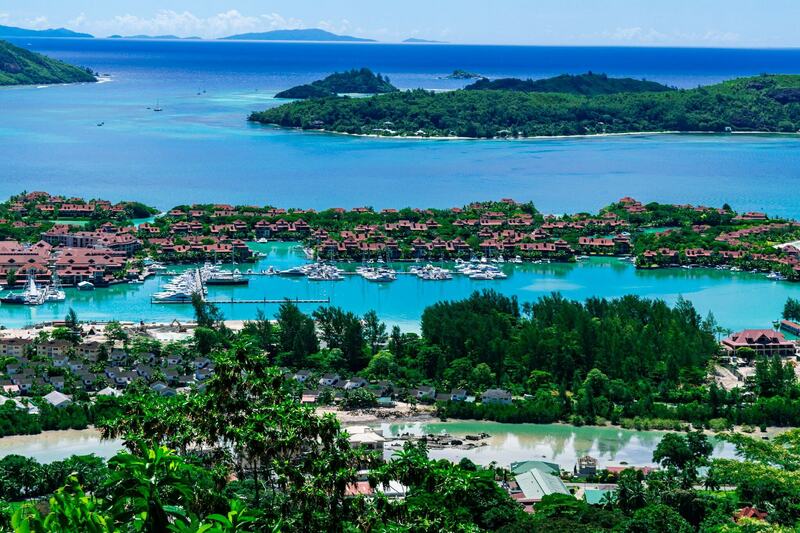 And the small hike to the top will offer you a stunning view of the Praslin Island. If you have researched about Seychelles then you must already know that this is the most photographed beach of Seychelles. 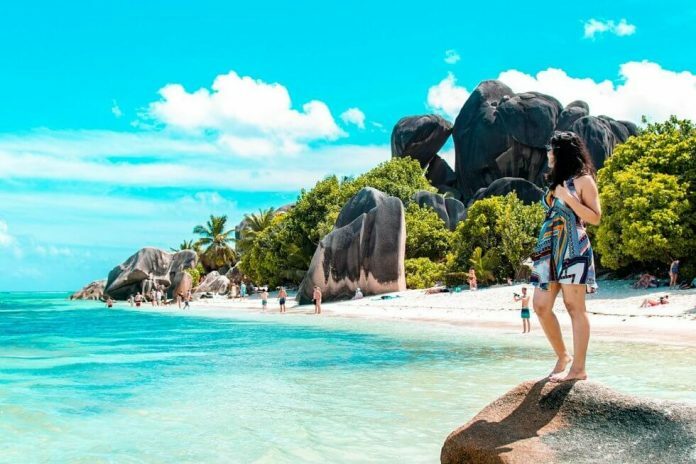 Anse Source D’Argent has uniquely formed boulders surrounding the sandy beaches which give it a natural and magical feel. This is why you will see a lot of wedding photographers and Instagrammers here, trying to take the advantage of this beautiful setting. Speaking about hiking, there is another popular hike that will leave you in a secluded yet beautiful beach on La Digue. Anse Cocos is not accessible by road or shore and can only be reached by hiking through the forest but is completely worth the effort. You might get lost on the way but you will easily find the trail and can spend an entire day on this hidden paradise. Now, you might think what could you possibly do here while on a solo budget trip. But, you would be amazed to know that there are several things that you can do to enjoy your solo trip without spending a fortune. As I have mentioned before, Seychelles is known to have some of the most beautiful beaches ever. So, a smart thing would be to take advantage of this and cover as many beaches as possible. 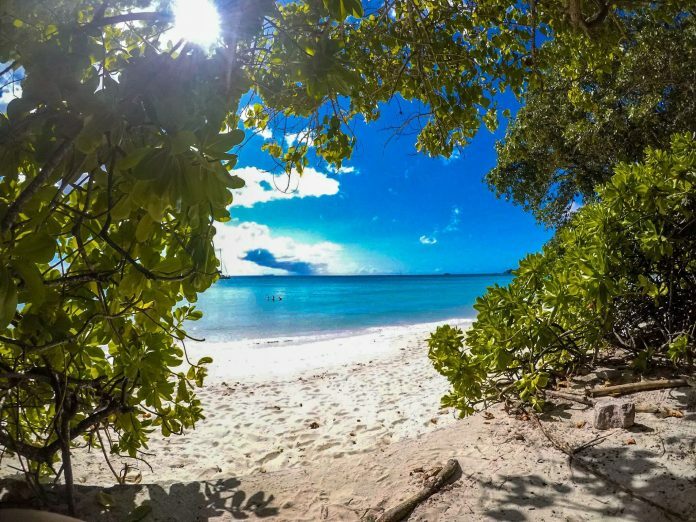 You don’t need to pay any fee to chill on these beaches, all you need is your sunscreen lotion, sunglasses, and a towel to lie down and soak up some sun. This is not an exaggeration but if you love watching sunsets then you couldn’t have chosen a better place than Seychelles. There are several beaches here on all the islands which offer you the most stunning sunsets ever. Trust me, once you watch a sunset here, you are going to be ruined for the rest of the life which isn’t so bad if you think about it. Now, this is not an entirely free activity but it is still possible. 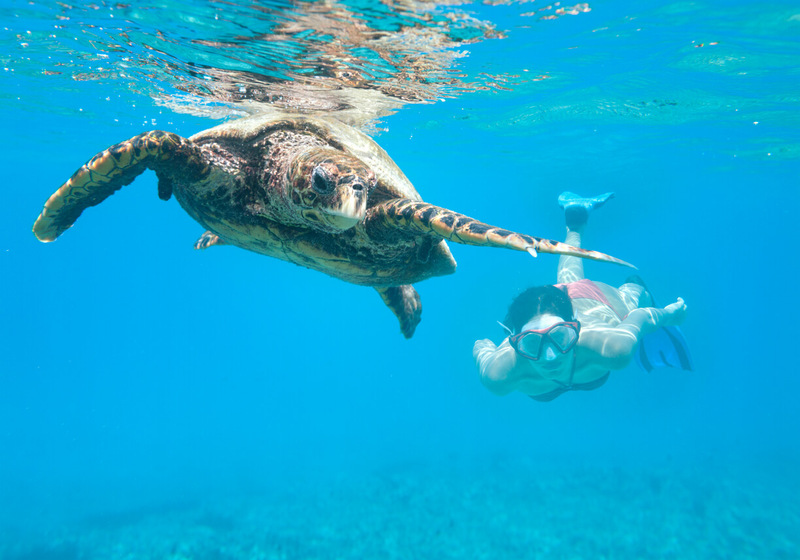 If you have your own snorkelling equipment and are familiar with the process then you can head over to one of the beaches fit for snorkelling and enjoy. However, if you haven’t tried scuba diving or snorkelling ever and would like to do so then Seychelles is certainly the best place to experiment. Here, you will find the most colourful marine life along with unique coral reefs which will be quite fascinating to watch. Scuba Diving would cost you about 80 – 100 Euros while a Snorkeling session would cost you approximately 25 Euros here. Seychelles is famous for the Giant Tortoises which can be found on most of the islands here. A boat ride to Curieuse Island is a popular activity here because, on this island, you can find the most number of giant tortoises roaming about freely. 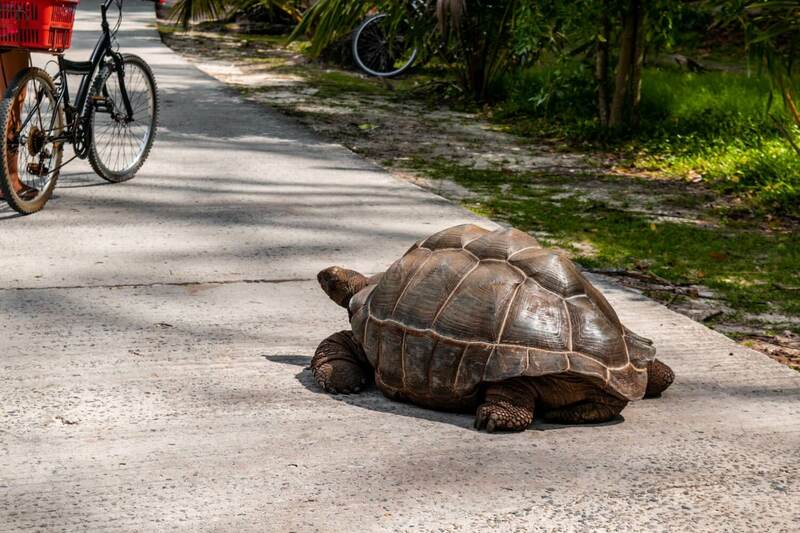 However, if you do not wish to take a special boat ride to just witness the giant tortoises then you can always find them in Praslin and La Digue. In La Digue, you can go to the tortoise farm where you can feed the giant tortoises and also watch the baby tortoises in the nursery. Finally, make sure that you don’t miss out cycling on La Digue because that is one of the most amazing activities to do here. 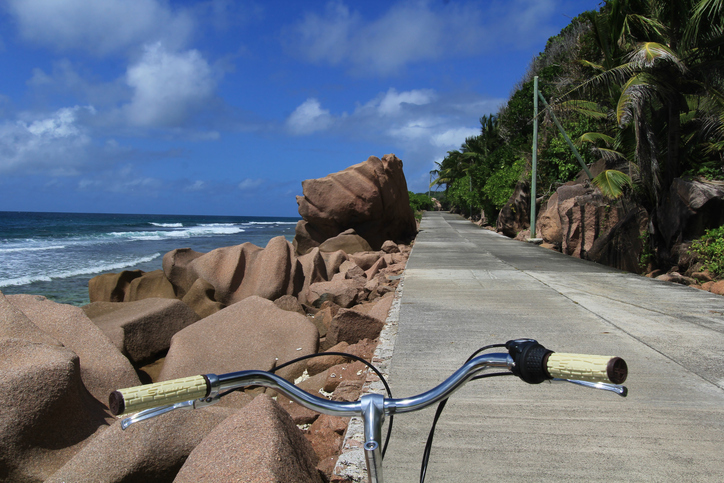 La Digue is a small island with an area of 25 km square so covering the entire island on cycle is easily possible. The best part about cycling here is that the roads are quite smooth and often go through shades cast by the trees which let you experience a light and cool breeze at regular intervals. Also, night time cycling beside the beaches on a moonlit night is undoubtedly an exhilarating feeling. If you ever visit Seychelles, do try these out. And if you’ve already been there and have some favourites to add to the list, please leave a comment below.